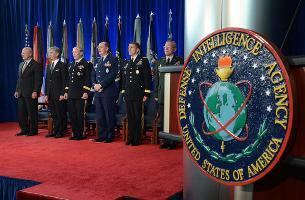 The domestic spying programs under the Bush and Obama Administrations further erode U.S. moral leadership in the hemisphere and probably beyond. At crucial junctures since President Jimmy Carter made human rights a pillar of policy in Latin America, U.S. moral authority has been decisive in persuading regimes on the right and the left to open the way for pluralism and democracy. 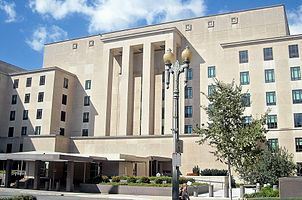 Lecturing governments and militaries on the need to eschew torture, domestic spying, and other abuses, U.S. diplomats and politicians could have been charged with arrogance, but on these specific aspects of the U.S. government’s treatment of its own people, not serious hypocrisy. The U. S. had its racial and economic injustices, but trends were positive, and the country stood for the rule of law, skepticism of State Security officials’ penchant to use information for power, and a pretty solid respect for due process. Even before Carter, the Watergate scandal – and resulting resignation of the President and overhaul of the intelligence agencies – was a clarion signal that agencies created to monitor foreign affairs must keep their focus far off U.S. shores. Latin American media have carried primarily factual stories revealing the “PRISM” program, which collects data from hundreds of millions of e-mails and other electronic communications each day and stores it for exploitation by targeters (now called “analysts”) on the lookout for alleged potential terrorists, based on secret profiling. Some papers have reported that Director for National Intelligence Clapper lied to the U.S. Congress without batting an eyelash when asked directly if such activities were ongoing. Coming after reports in recent years of the use of torture (and the impunity granted to the perpetrators), the so-called “extraordinary renditions” (and the cases in which kidnap victims were innocent), the use of “black prisons” (in which security services in new democracies were encouraged to circumvent their elected officials),drone attacks (even against U.S. citizens), and the continued detention of prisoners without trial at Guantanamo (giving human rights violations in Cuba a new meaning) have all been noted throughout Latin America. PRISM may no longer be considered newsworthy. The fact that British and American newspapers eventually brought the domestic spying programs to light may hearten some in Latin America, as evidence that an essential element of democracy – a probing press –shows signs of life despite reports of Justice Department harassment of the Associated Press and other media. But sentient Latin Americans know the implications of PRISM – and what enterprising State Security “analysts” can do with years of data about even the most mundane aspects of potential targets’ lives. The Obama Administration’s defense of PRISM as necessary to defend against supposed terrorists doesn’t sell well in a region that knows how information never sits unused. 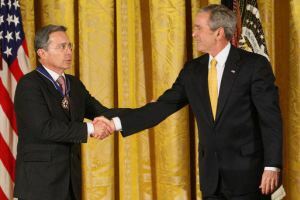 The Bush Administration gave the Medal of Freedom to Colombian President Uribe, who deployed his secret intelligence agency to harass opponents and allowed his military to disappear thousands of youths. The Obama Administration’s lectures to Venezuela, Nicaragua, Bolivia and Ecuador on the need to give more space to opponents – however warranted – ring sort of hollow when, in Latin Americans’ minds, it has nurtured its own Frankenstein state-security apparatus that lacks credible checks and balances. Washington can argue that U.S. moral authority doesn’t matter, and that the “terrorist threat” it faces calls for extraordinary measures, but it will be a long time before an American statesman can wag his finger at a Latin American counterpart for doing the same thing. Latin America has suffered through almost three decades of the so-called war on drugs. U.S. President George H.W. Bush formally declared the war in the late 1980s, but from the Andes to the Rio Grande it started when the Colombian cartels and their Mexican partners (then exclusively involved in distribution) created a multi-billion-dollar business to satisfy the growing U.S. market. The druglords’ strategy of “plata o plomo” brought Mesoamerica and Mexico to their knees through violence and institutional corruption. Hundreds of thousands have died, but the “war” has failed to tackle the economic basis of the industry: markets shift and supplies remain steady. The cartels are smaller and more ruthless, and nation states are weakened by corruption. Reams of reports have been written by official agencies, international organizations and think tanks – the latest a creative study by the OAS – but solutions remain elusive. Former Presidents George W. Bush and Álvaro Uribe of Colombia were close allies in the “war on terror,” but they are taking very different approaches to their post-presidency. While the former has taken up painting and appears at few public events, since leaving office in 2010 Uribe has consistently tried to upstage his hand-picked successor, Juan Manuel Santos. He has frequently taken to Twitter with biting criticisms, and in recent months – as provincial and municipal elections near – Uribe’s public condemnations have grown both more vociferous and more damaging. Even ardent supporters of Uribe’s presidency are questioning his post-presidential politicking, according to press reports. In particular, the former president’s attacks on the ongoing peace talks with the FARC and Colombia’s more conciliatory approach to Venezuela have contributed to a drop in Santos’ support, according to polls, and made the two endeavors more difficult and politically costly. On the former, Uribe has repeatedly accused Santos of offering “impunity” to FARC fighters. 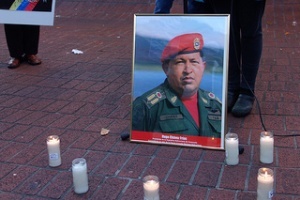 He’s also accused Santos of “turning his back on democracy” for joining (albeit reluctantly) the UNASUR consensus to recognize Nicolás Maduro’s narrow victory in the Venezuelan presidential elections. And Uribe has slammed Santos’s efforts to hold Uribe-era officials responsible for violence and corruption. Though Uribe’s attacks have complicated Santos’ position with his own party on these issues, the reaction has been quite different in the United States. Though Uribe’s criticism has found an audience with the far right in the United States, Santos retains considerable U.S. backing. Uribe’s role as the main U.S. ally in South America in the past was warmly rewarded and he was held up as Colombia’s savior – President Bush gave him the Medal of Freedom – but his hectoring of Santos and his failure to atone for violations during his government appear to have undermined his credibility. Uribe’s post-presidential antics should spark a re-evaluation of his presidency, even among those who downplayed human rights problems and suspected links to paramilitaries among Uribe’s party and family. 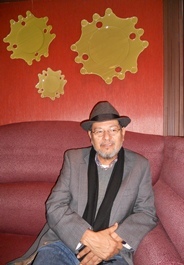 His accomplishments in rebuilding the Colombian military and imposing tactical defeats on the FARC cannot be denied, but in doing so, he ran roughshod over civilian institutions, used a secret intelligence unit to harass opponents in and out of government, and, with the deaths of potentially thousands of “false positives,” appears to have been complicit in serious violations of human rights. Out of office, he continues to show a similar lack of respect for democratic processes and decorum – even as he levels that same accusation against Venezuelan leaders – and he still seems profoundly resentful that he failed to amend the Constitution to allow himself a third term. 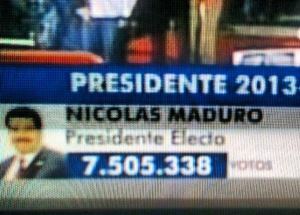 In a democracy, there can only be one president at a time. Former presidents have the right to speak out, but it’s fair to ask if their goal is constructive and contributes to the integrity of democratic institutions. 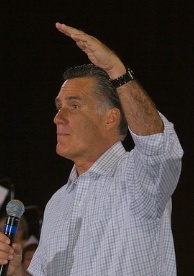 Although Latin America has not been an issue in the U.S. presidential campaign, Republican presidential contender Mitt Romney has stated multiple times that he would promote hemispheric trade agreements. In the second debate, he said, “I’m also going to dramatically expand trade in Latin America. … I want to add more free trade agreements so we’ll have more trade.” Romney did not specify, however, with which partners he would conclude trade agreements. (A request to the Romney campaign for more information has not been answered.) President Barack Obama did not comment on Romney’s promise, suggesting the president’s lack of focus on the region or calculus that voters simply don’t care. Under Obama, the United States ratified pacts with Colombia and Panama, negotiated during the Bush administration. The U.S. already had FTAs with Central America and the Dominican Republic, Chile, Mexico, and Peru. While that would seem to leave a number of large economies, nearly all of them are unlikely partners. 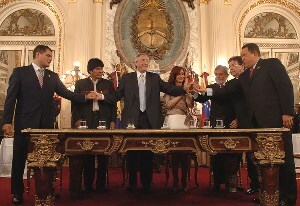 The most important remaining economies – Brazil, Argentina, Venezuela, Uruguay, and Paraguay – are part of the Mercosur trading bloc. 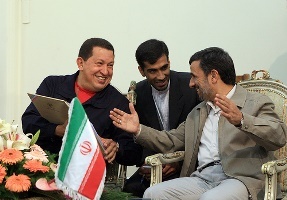 Washington has refused to negotiate with them as a group, and the group prohibits members from signing bilateral accords. 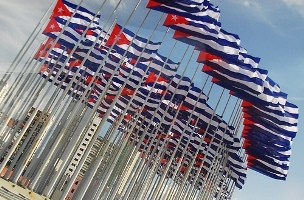 Meanwhile, Venezuela, Bolivia, Nicaragua, Ecuador, Cuba, and several Caribbean nations have joined together specifically to counter U.S. proposals for free trade in the hemisphere. The few remaining countries have tiny trading relations with the United States. The idea of adding FTAs in Latin America looks quixotic. Nevertheless, that is hardly an excuse for failing to improve trade relations short of comprehensive agreements. There are important opportunities to deepen the United States’ most important trade relations with Canada and Mexico, as AU Professor Robert A. Pastor has argued. Moreover, if the United States is willing to use the Andean Trade Preferences Act as a tool for development instead of a cudgel against Latin Americans it considers wayward, it could expand trade in ways that benefit all parties. Likewise, trade problems have become outsized irritants in U.S. relations with Brazil and Argentina – to say nothing of the broader implications of U.S. “trade policy” with Cuba. These problems have largely festered under Obama, and Romney’s promises of free trade agreements do not seem a serious proposal to correct them.